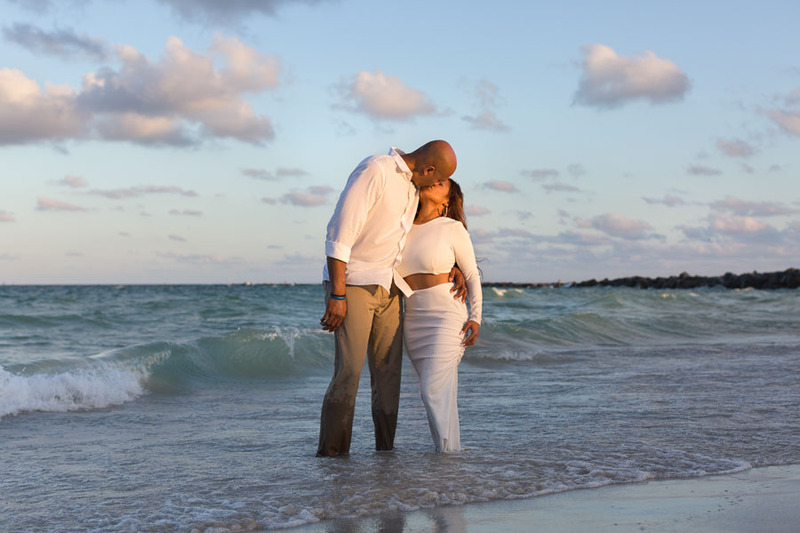 It was a weekend afternoon when we met up at South Pointe Park. 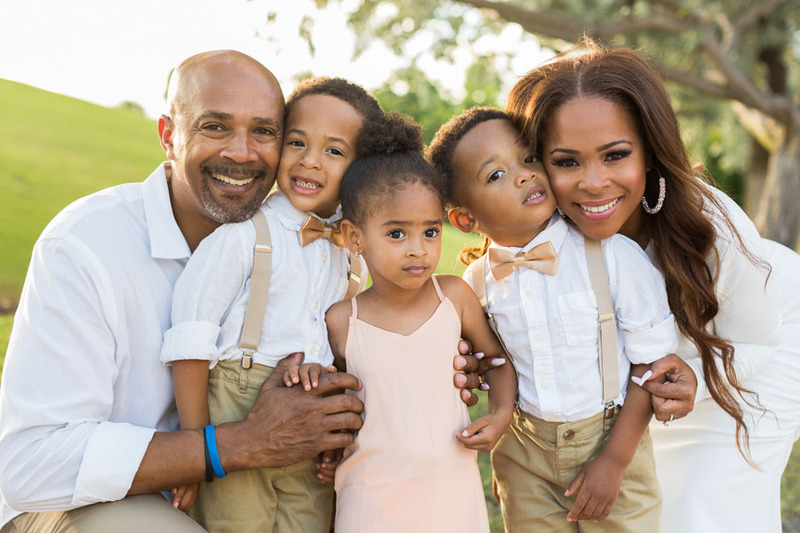 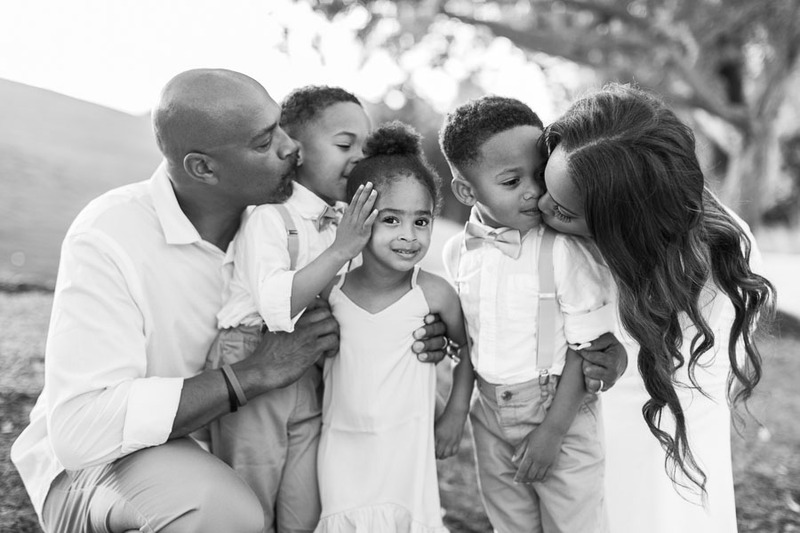 This lovely family from California was in town with their adorable daughter and twin boys. 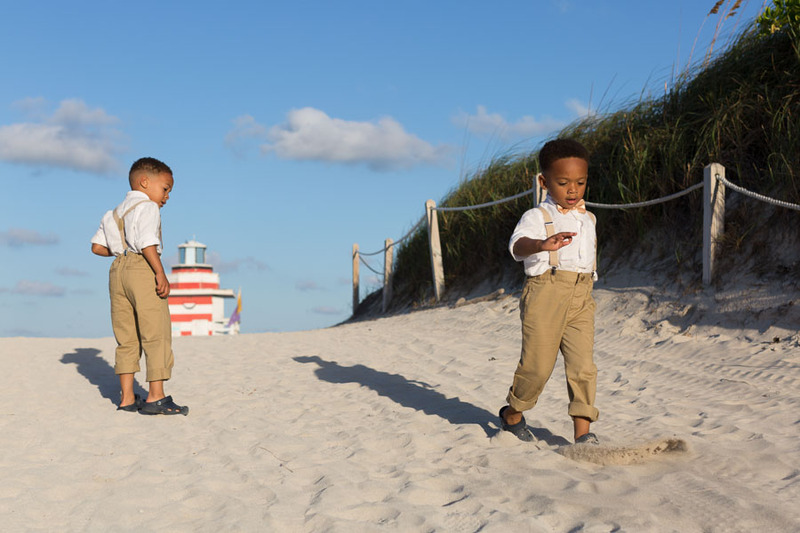 We took some family photos in the park and then walked onto the beach. 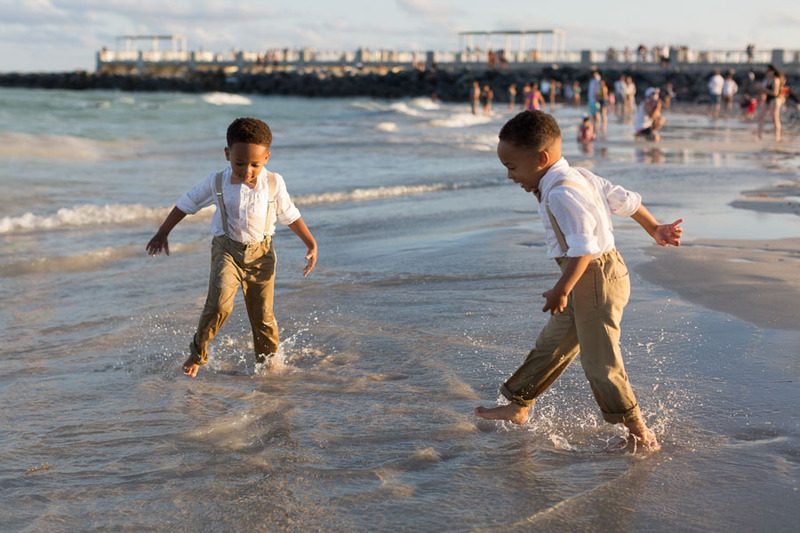 These kids LOVE the beach (in case you couldn’t tell haha). 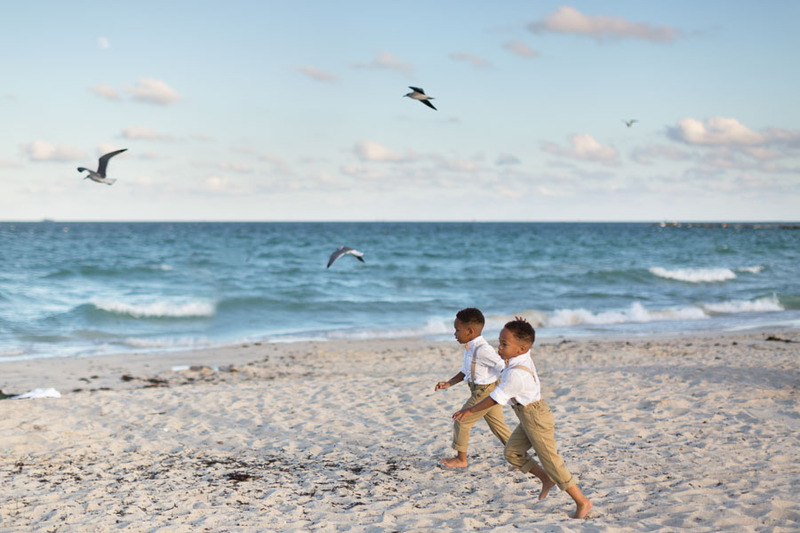 The moment their feet hit the sand, they began to run and explore. 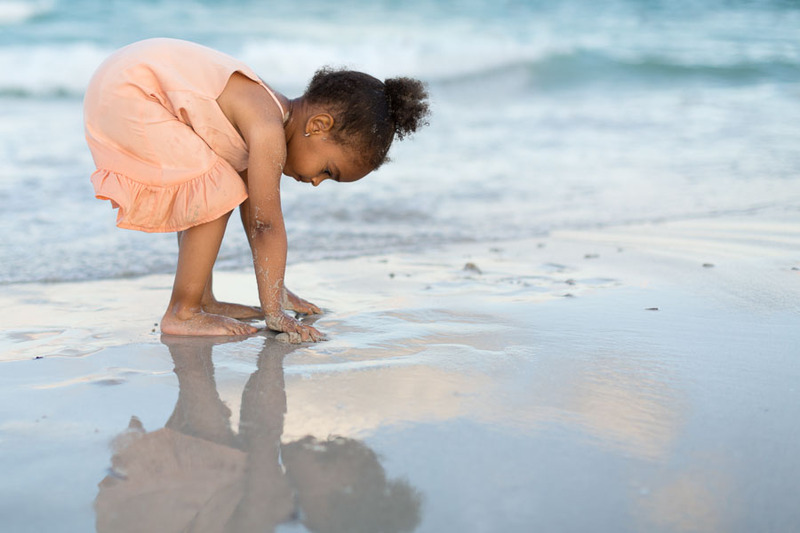 Chasing birds, splashing through the water with gleeful smiles, catching waves and digging through the wet sand. 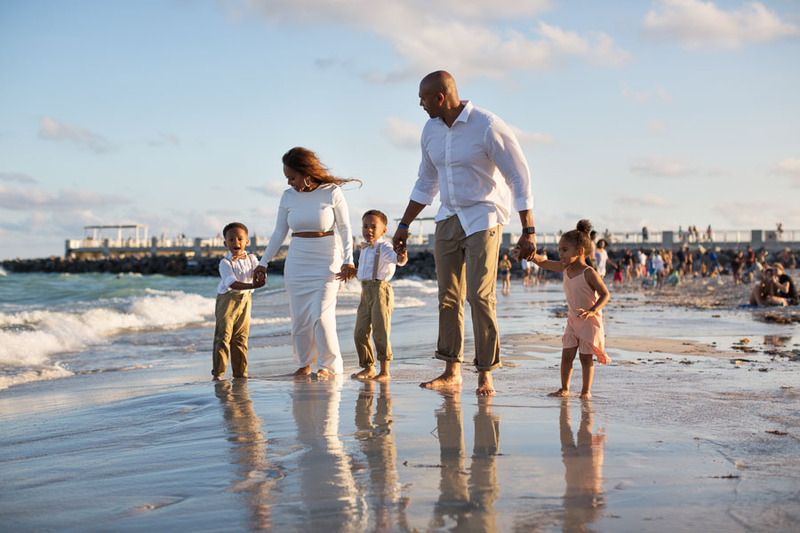 Amid the chaos, we snuck in a few shots of them walking together along the beach, and some of the parents by themselves. 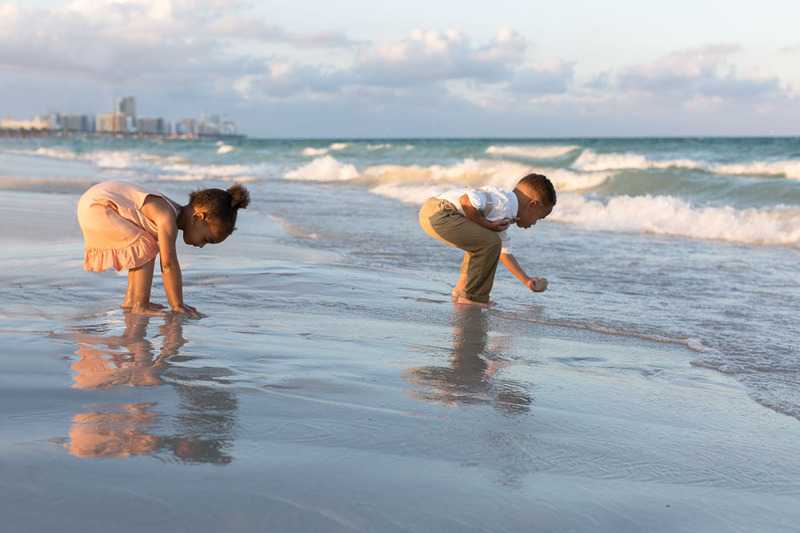 By the end of the session, the kids were soaked by the warm ocean water and covered in sand, but happy as can be. 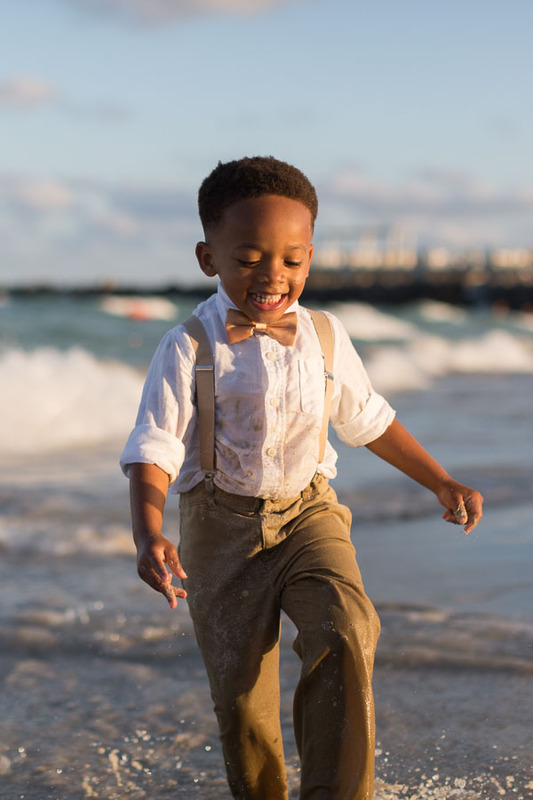 It’s not obvious sometimes during the session until you see the final results that there is so much beauty in everyday life. 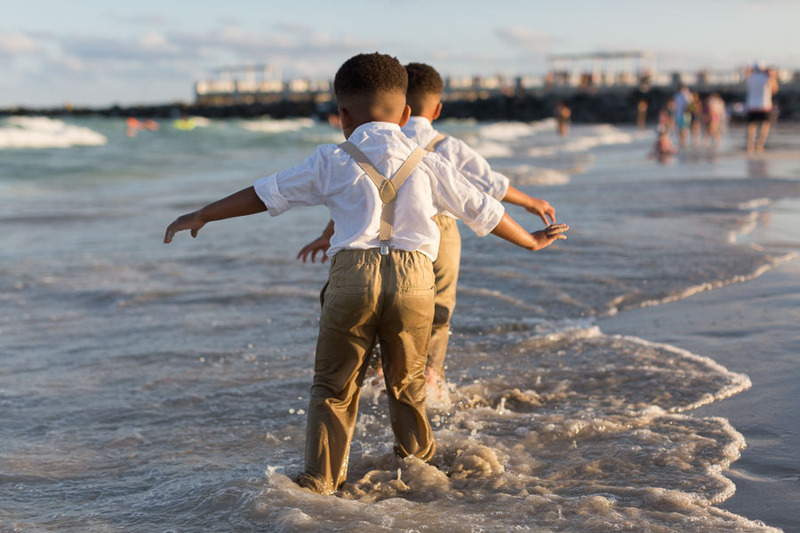 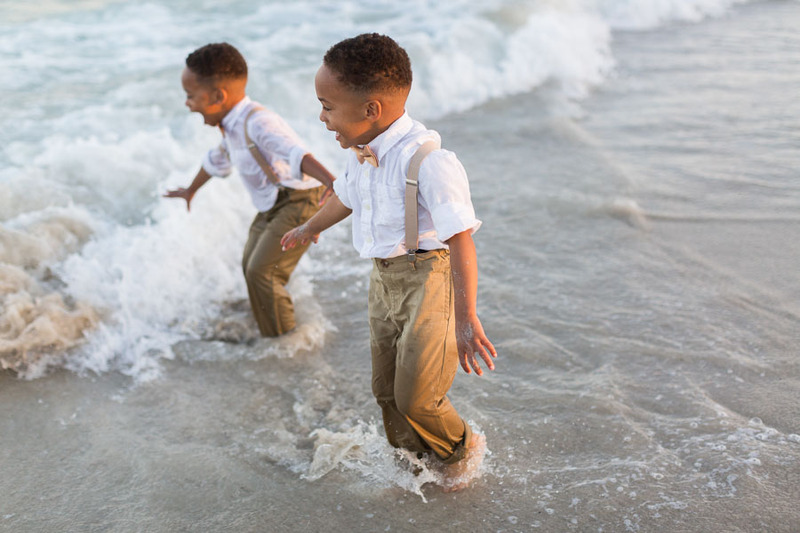 I love how the kids’ smiles are real, their childhood captured in their playfulness, their joy found in the simply things like feeling the wet sand run through their hands or the thrill of a wave washing over them. 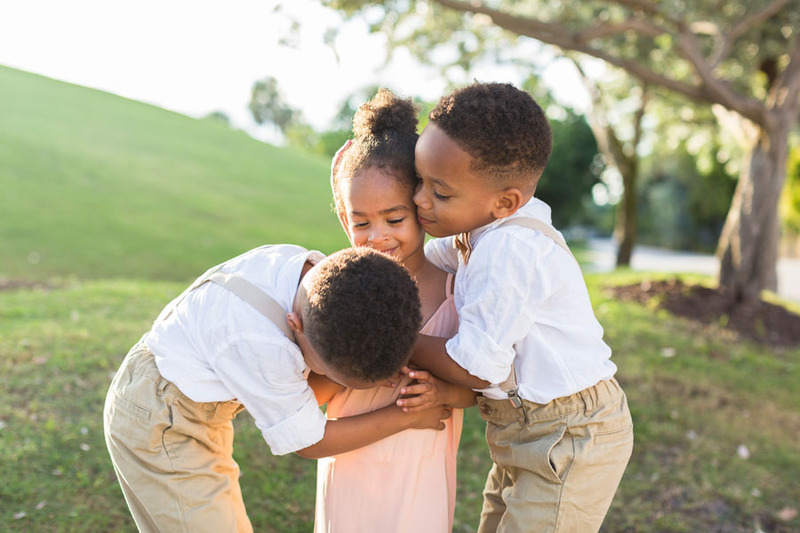 Every family session is different and depends on the ages of the kids, but generally speaking with young kids that don’t want to sit still through an hour of posed photographs, I begin with a classic looking-at-the-camera portrait that’s always nice to have and some similar posed images. 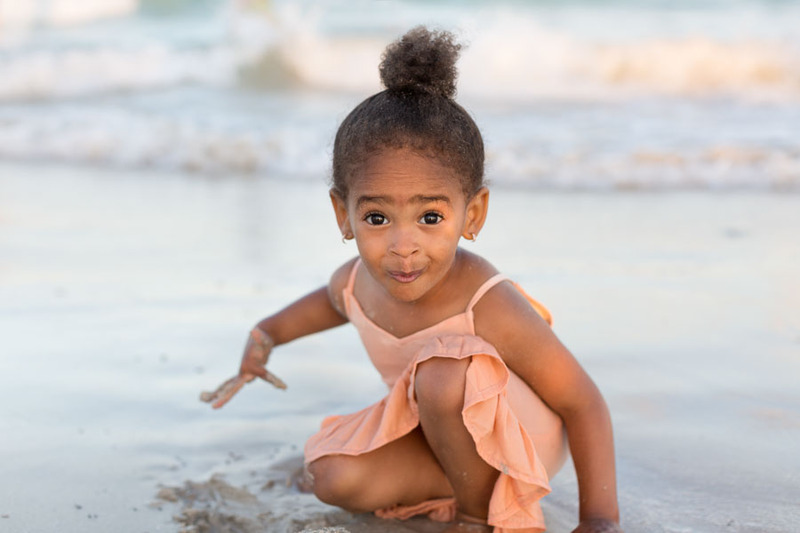 I love getting individuals of parents with each child, individual portraits, and then letting the kids run around and explore their environments for the remainder of the session (playing with your kids is always encouraged!). 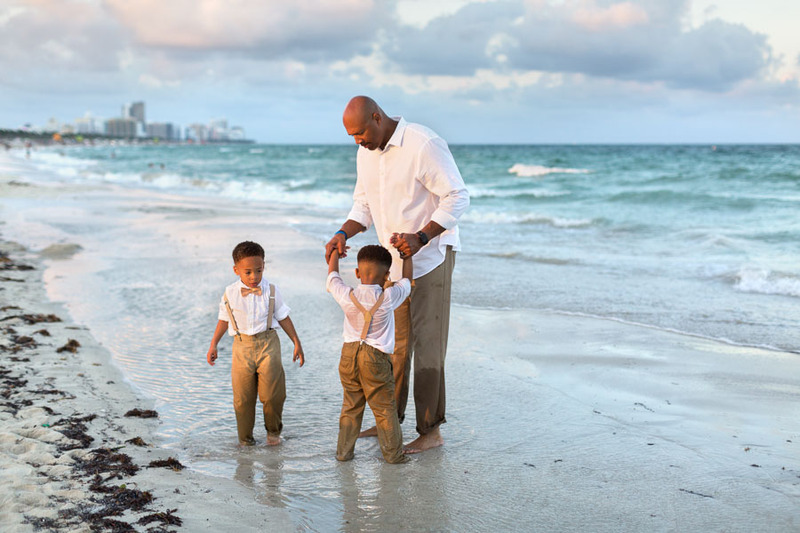 This Family of Five Sunset Beach Session at South Pointe Park took place in Miami Beach before sunset. 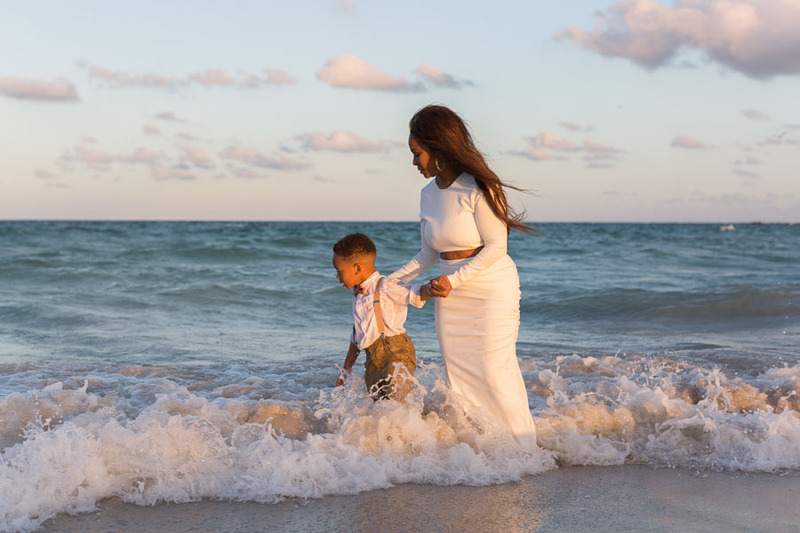 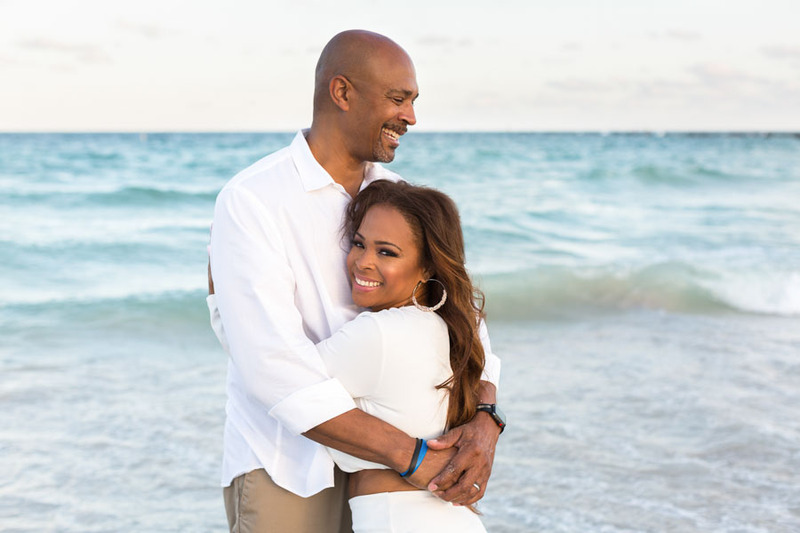 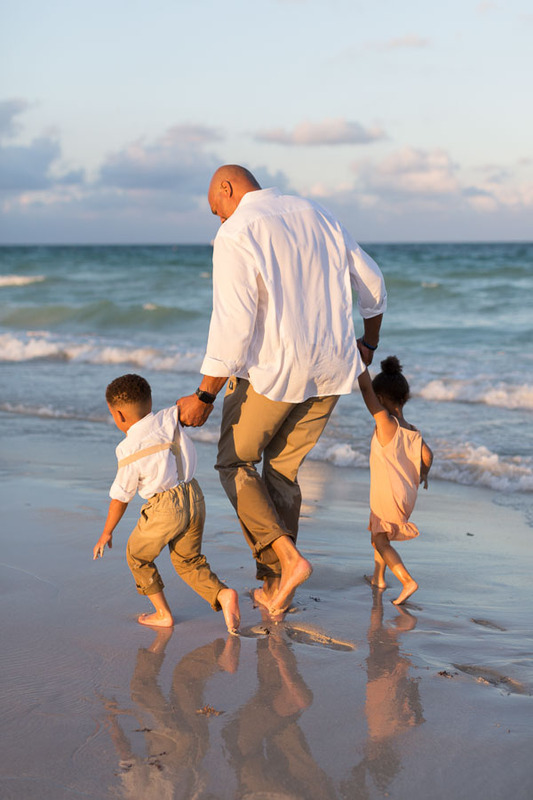 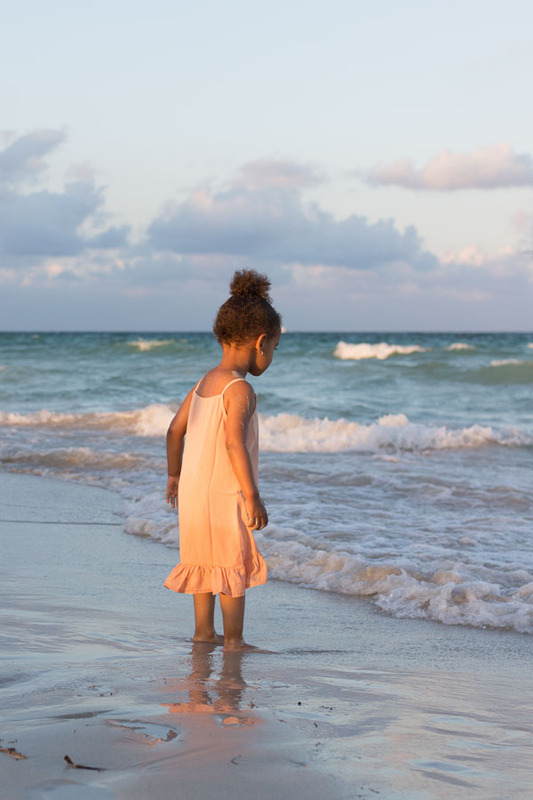 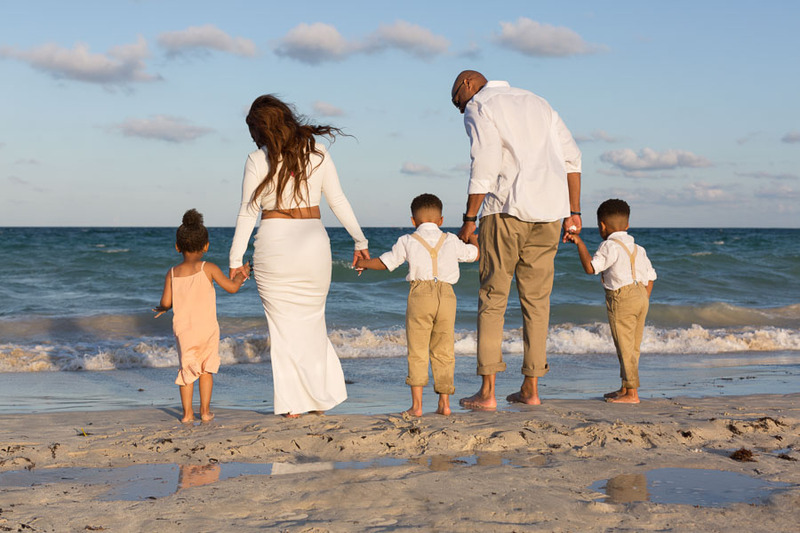 Check out all of the Miami family photo sessions on the blog. 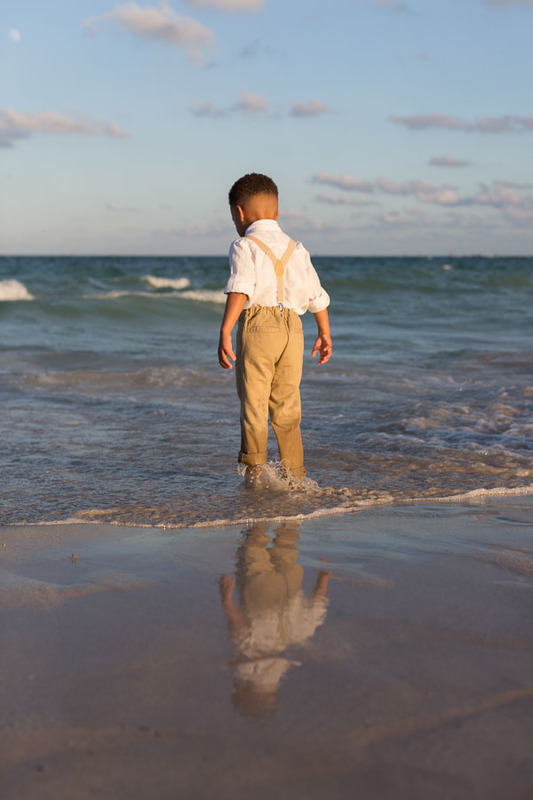 Take a look at all of the South Pointe Park photography sessions. 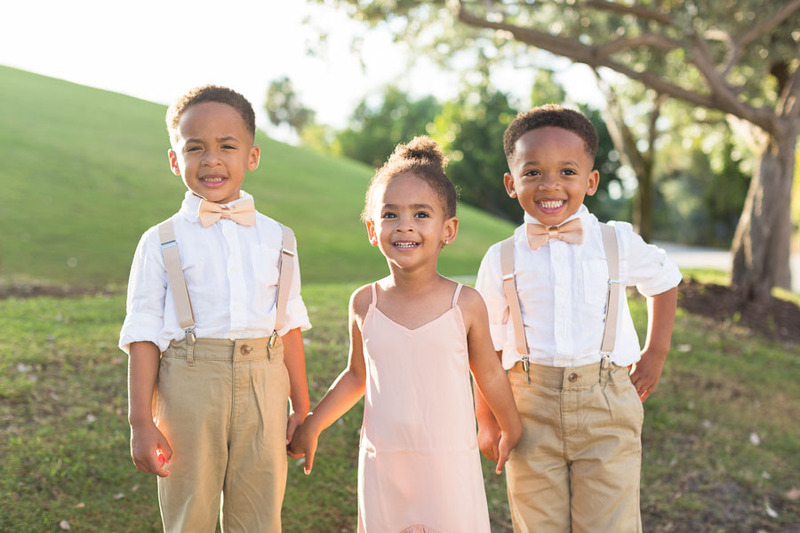 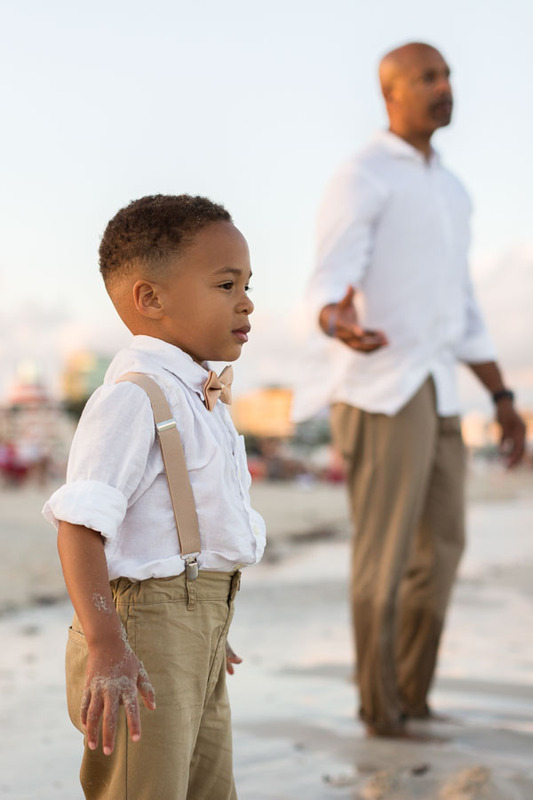 This Pinterest board has ideas on what to wear to a family photo session. 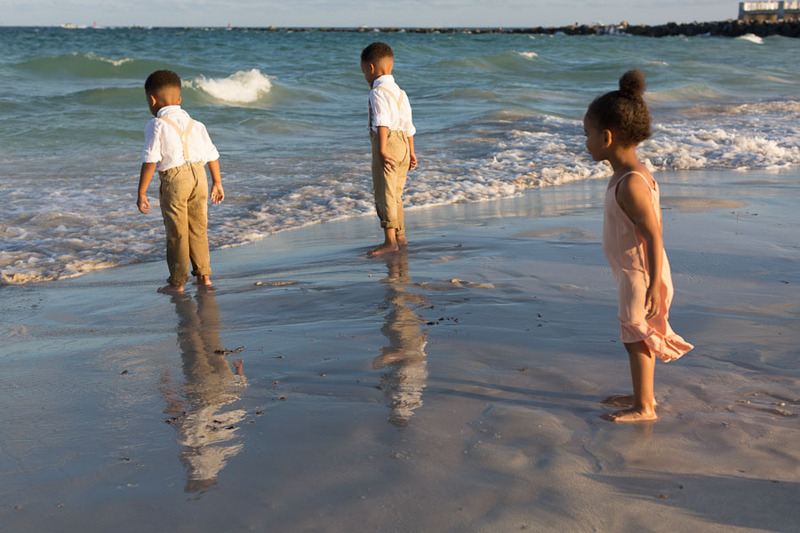 Please contact me here to book a family or couple photo session or email me at info@tovaphotography.com. 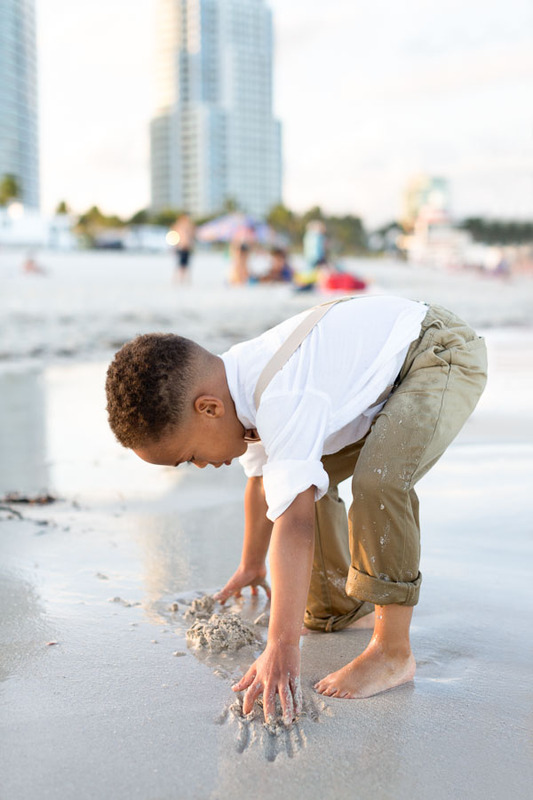 This entry was posted in Families and tagged beach, family, family of five, South Pointe Park, sunset on March 21, 2019 by Tova Photography.